Driver Training consists of three, two (2) hour lessons. Within our boundaries we offer free pick-up and drop off for driver training. 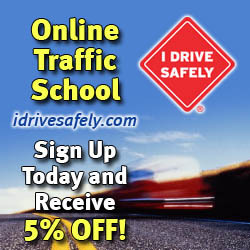 This course will consist of one-on-one instruction with a student and California licensed driving instructor. At this time the student will begin their two (2) hours of driving. Please have student ready 15 minutes early before each two (2) hour lesson. as possible. Parents need to practice with their child at a minimum of 50 hours before the test for a license can be given and six hours totalling (56 hours which includes a driving school), holding their permit for a minimum of six (6) months, and is at least 16 years of age. It’s the Law. Students will only be picked-up and dropped off at the address on their file, unless an after school appointment is scheduled. Once driver training is completed we will issue a gold certificate of completion of Behind-the-Wheel Driver Training (OL238, OL400). We strongly recommend that students complete ALL driving lessons before they schedule their DMV appointment to avoid last minute complications. There is a $35.00 fee per certificate for duplicates and we may require a minimum of 48 hours to re-issue the certificate(s). These are original DMV certificate. The DMV will not accept copies or reproductions of any kind.